An Olympiad Maths question posted on Facebook (see photograph below) by a Singaporean TV presenter went viral and featured in newspapers around the world. 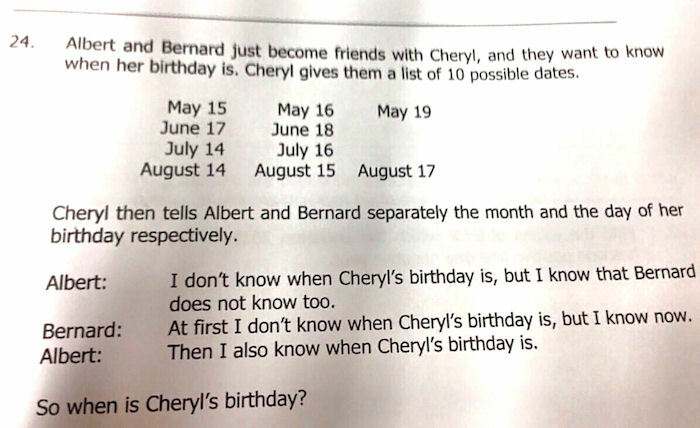 Can you work out when Cheryl's birthday is? 16 July. See the full solution as posted by SASMO.